Does Ranked Choice Manipulate Voters? The 2011 mayor's race in San Francisco will be the largest test yet of the ranked-choice voting process, yet the majority of voters don't understand how it works. In San Franciso, 55 percent of voters polled in May had no clue as to how ranked voting works. That's a problem, since ranked-choice voting by mail has begun in San Francisco for the mayoral race and several others. The election will end at the polls on November 8th. This is the second time the ranked-choice system has been used for selecting the mayor in San Francisco, but the first application in 2007 was hardly a test, given the overwhelming support for re-election of then-Mayor Gavin Newsom. Under ranked-choice voting, if no candidate receives 50 percent plus one of the first place votes cast, the second and third choices of the candidate who receives the fewest votes are distributed to the others. The process goes on until enough votes have been moved to secure a winner. It's clear that the instant run-off approach produces a winner in one contest instead of two, but is it a more accurate way of reflecting the voters' wishes? Defenders of the process claim that ranked-choice voting gives a better picture of who has the broadest support among the voters. For example, when Jean Quan defeated Don Perata last year in the Oakland mayor's race, she did so by capturing enough second place votes from other candidates to acquire a majority--this despite the fact that Perata won considerably more first place votes. Opponents of the process worry that ranked-choice voting compromises the election process. Selection of a leader, they say, is more than just a vote on a given day. It's about the campaign and the issues. By employing a run-off election between the top two candidates, the voters have an opportunity for a second, and perhaps more thoughtful look at the candidates who received the most votes in the primary. Is ranked-choice voting a more efficient way to run an election or a system that allows manipulation of an unsuspecting electorate? 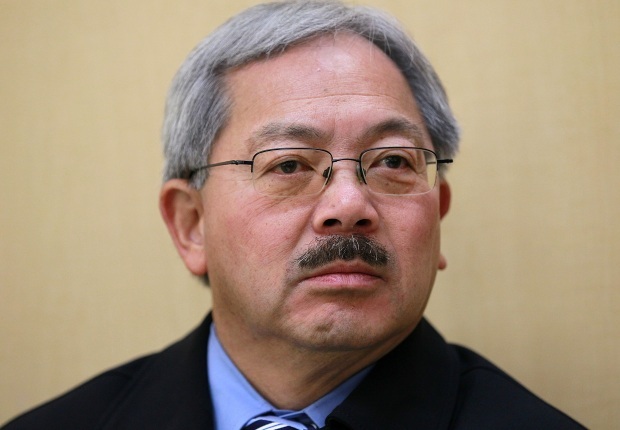 One fact is certain: with 16 candidates running for mayor, no one will come near to a majority, leaving open the possibility that a candidate who receives a small fraction of the vote may wind up as the mayor of 800,000 San Franciscans. Perhaps then we'll get a better picture of how San Franciscans feel about the process.